(Bloomberg Businessweek) -- João Vítor Xavier was afraid history was going to repeat itself. But he didn’t expect it to happen when it did. A legislator in Brazil’s mineral-rich Minas Gerais state, Xavier was on vacation on Jan. 25, having lunch with Duarte Gonçalves Júnior, the mayor of a town called Mariana. In November 2015, Mariana was the town most devastated by the collapse of a so-called upstream dam, which holds back oceans of muddy waste produced by mines. Nineteen people were killed, and one entire neighborhood was wiped out. At dinner with the mayor the night before, he had rehashed his failed campaign to ban the structures, which are widely considered dangerous and obsolete, hold the big mining companies who owned them more accountable for damages, and prevent future catastrophes. But as their lunch got under way, Xavier received a text. He leaned over to Gonçalves and said, “There’s been a tragedy. It looks even worse than yours.” The news was about Brumadinho, just 71 miles away. The two men rushed over and found unspeakable destruction. 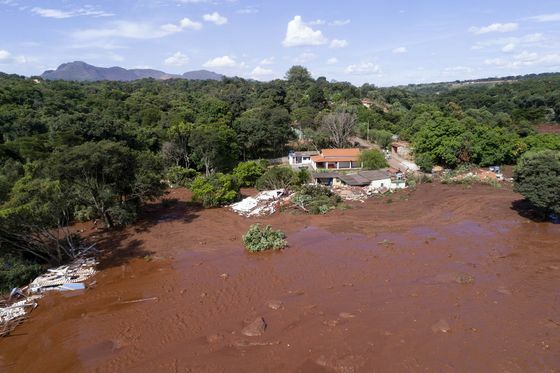 The collapsed dam at Brumadinho was owned by Vale SA, the world’s largest iron ore miner. The company was also the co-owner of the dam that wrecked Mariana. Vale isn’t the only owner of mines with such dams; Brazil has hundreds of them, most of them in Xavier’s state. But these two failures are the largest ever in the country. A wall of mud had rolled through a cafeteria filled with maybe hundreds of Vale workers and slammed into nearby Brumadinho. As of Jan. 30, rescuers had pulled 99 bodies out of the muck, with 259 people still missing and feared dead, making it one of Brazil’s worst industrial disasters. After the 2015 collapse, the government reacted to the public outrage by vowing a crackdown. But, as Xavier knows all too well, little happened. Other proposed legislation at the state and national levels also failed. In Brazil’s capital, Brasilia, Senator Ricardo Ferraço got nowhere with a bill to force Vale and other mining companies to fix dangerous dams and pay for damages if they fail. “You had to grab a senator by the arm to convince him that it’s important, that it’s necessary, that it can’t be delayed,” he says. “It was so frustrating.” Now the far more deadly rupture of Vale’s B1 dam in Minas Gerais has focused fresh attention on a deadly mix of failed government oversight, unheeded warnings, and laws that favor mining interests over public safety. Vale declined to comment. The mining company sits at the center of the outcry. It saw its share price drop almost 25 percent after the B1 dam burst. It rebounded some after Chief Executive Officer Fabio Schvartsman said Vale would stop using all upstream dams over the next three years, shutting a group of older mines in the process and cutting the company’s annual iron production by some 40 million tons. Brazilian police arrested three Vale employees and two contractors as part of the investigation into the disaster. The company says it doesn’t know why the B1 dam failed but is the “most interested party” in finding out. Vale says it is cooperating with the investigation and has turned over the results of an ongoing internal probe of the dam failure. After the 2015 collapse, an investigation ordered by the dam’s co-owners, Vale and Australia’s BHP Group Ltd., concluded that misguided efforts to raise the height of the dam and fix structural defects hindered drainage, causing parts of the earthen structure to liquefy and collapse. Yet since then the governor of Minas Gerais imposed a process to speed up environmental licensing of mines, dams, and other industrial projects. Vale benefited by getting quick approval to expand the mining complex that included B1, which was built in the 1970s and is similar in design to the dam that failed in 2015. Vale says it hadn’t been dumping mine waste behind the dam for about two and a half years and was in the process of decommissioning it. Instead of hiring more dam inspectors, as state and federal investigations urged, the Brazilian federal government slashed budgets. In Minas Gerais, just four federal inspectors police more than 400 dams—unchanged from 2015. State regulators say they can’t guarantee the safety of at least 12 dams. That’s left Vale and other mining companies to largely self-regulate, by hiring private inspectors to file reports with government regulators, often based on data the company produces. “The guys inspecting sometimes only have purely theoretical knowledge,” says Ernesto Bossi, a former engineer responsible for Vale dams in Minas Gerais. “Their operational experience of how dams work is limited.” Vale told regulators its most recent self-audits had found the B1 dam safe. 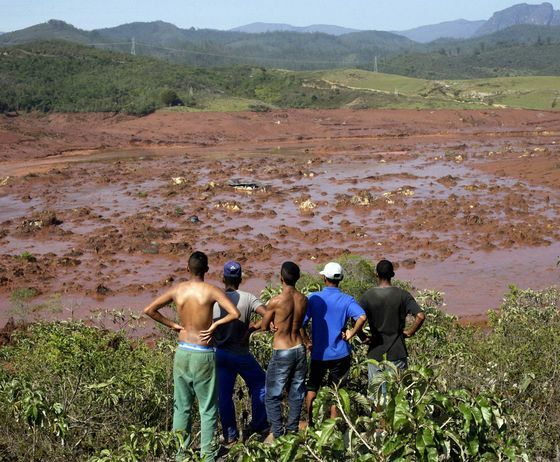 Now, after the B1 collapse, will Brazil hold miners more accountable for such disasters? Events prior to the catastrophe offer little hope of that. The country’s president, Jair Bolsonaro, who was inaugurated on Jan. 1, has pledged to open the Amazon to mining and take aim at regulation; he’s already put environmental regulators under the agriculture ministry, whose new head promotes the interests of commodities exporters. Since the B1 catastrophe, some government officials have talked about firing Vale’s top management. (The government indirectly holds the biggest stake in Vale through public pension funds.) By Jan. 29, however, the administration was backtracking. Bolsonaro’s chief of staff, Onyx Lorenzoni, said the government cannot interfere in Vale’s management. Infrastructure Minister Tarcisio Gomes de Freitas warned of the “demonization” of Vale. As for João Vítor Xavier? He’s haunted by his past prophecies that it was a just matter of time before disaster would strike again. “Every warning about the mining industry is treated like it’s insignificant, or secondary, which brought us to the state of things we’re living in today,” he says. Maybe this time, he hopes, after the devastation in Mariana and Brumadinho, people will realize neither catastrophe had to happen.